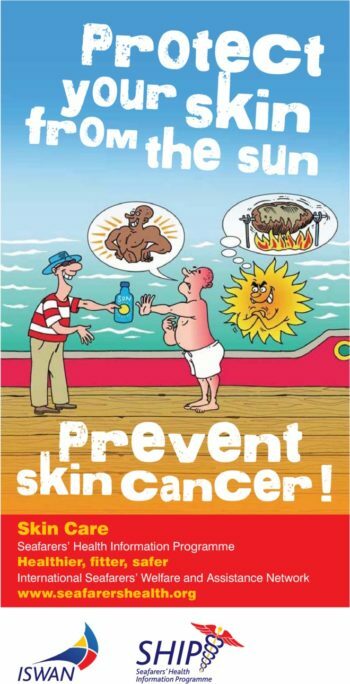 Being out at sea can mean a lot of exposure to the sun's ultraviolet light and damage to the skin. 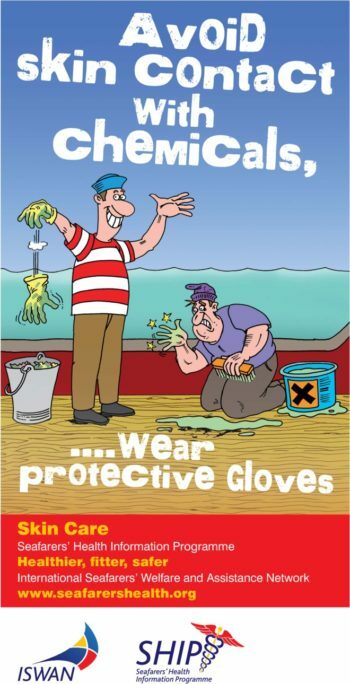 Not only that, but day-to-day work means seafarers can come into contact with chemicals frequently and need to protect themselves from the potential effects of contact with their skin. 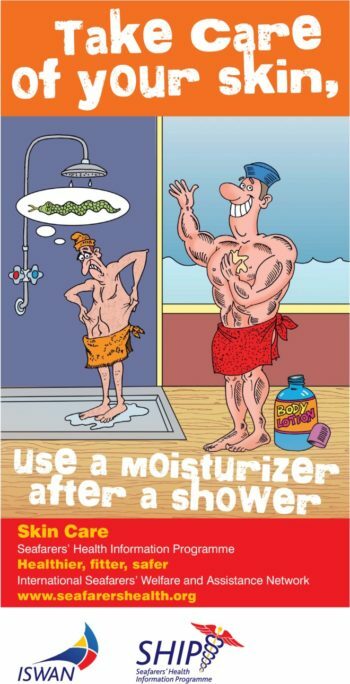 Our resources include three posters to promote skin care on board.